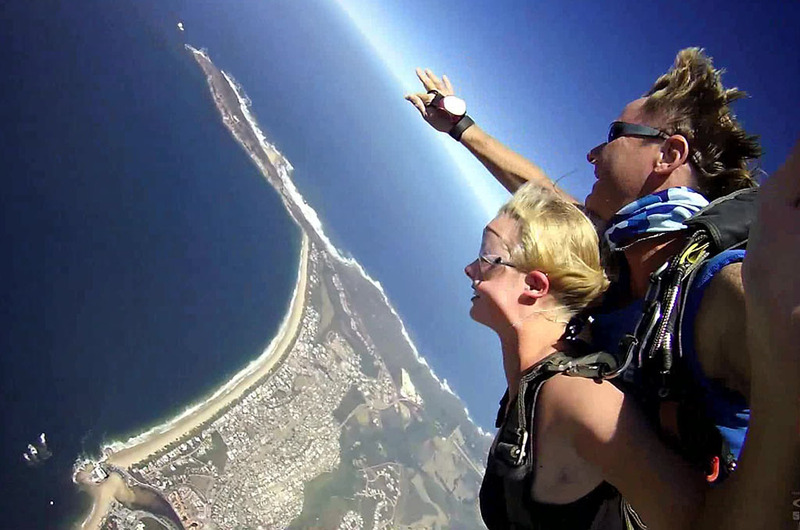 Once the canopy opens, your instructor will glide you down for a safe landing. 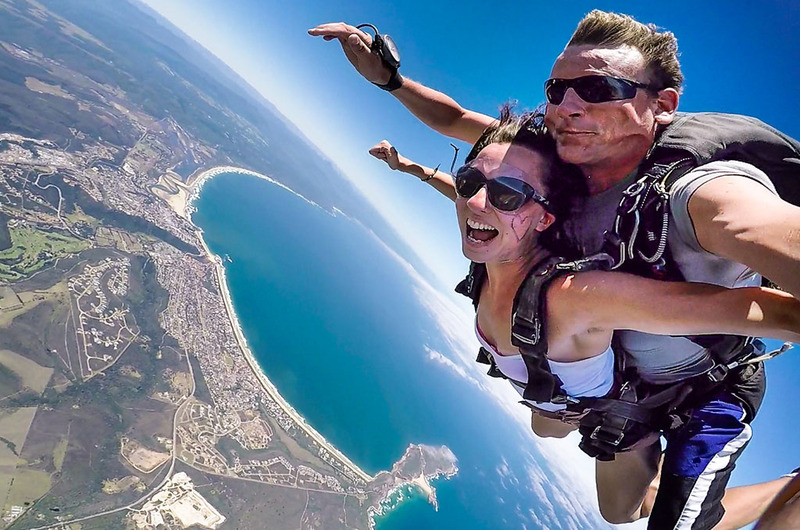 Now the leisurely, scenic plane flight stops and the adrenaline starts to pump as you exit the plane with your Tandem Master and experience the rush of a 35 second free fall at 200KPH! 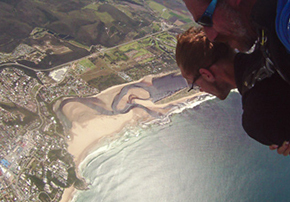 Skydive Plett has been operating in South Africa since 2002 and is now one of the busiest drop zones in the country. 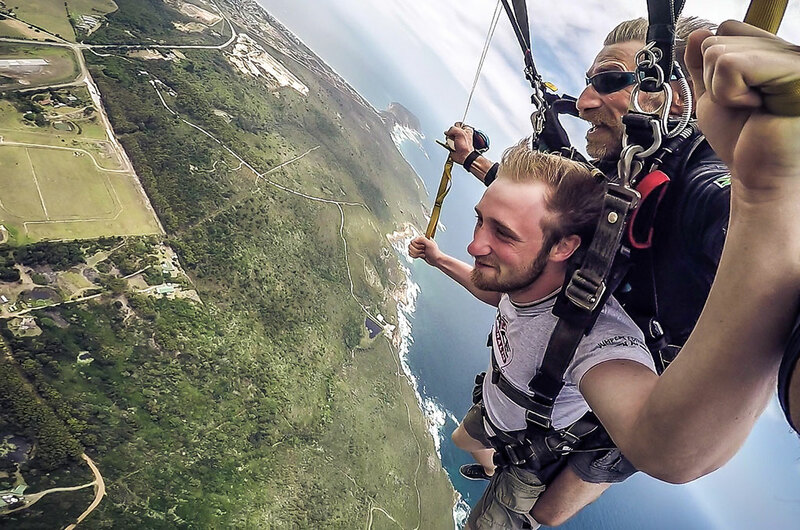 Depending on the weather, we may jump all day, every day. 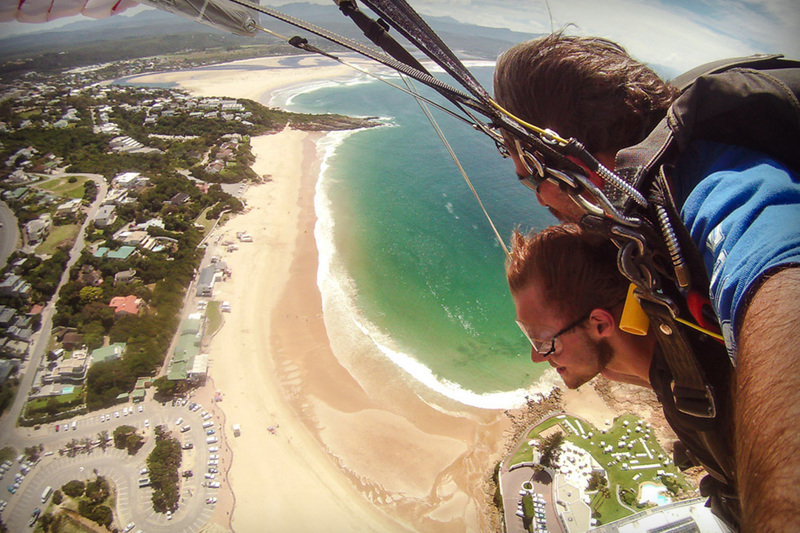 Plett is home to hundreds of dolphins and is an active breeding ground for whales between May and October every year. 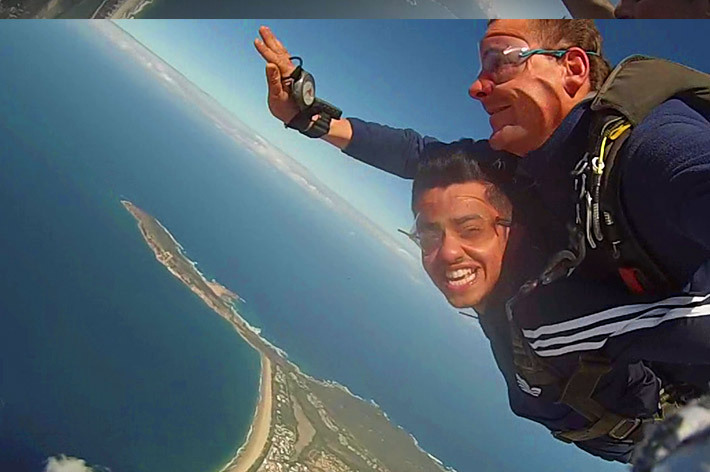 Our Packages are designed to suit every individuals needs. 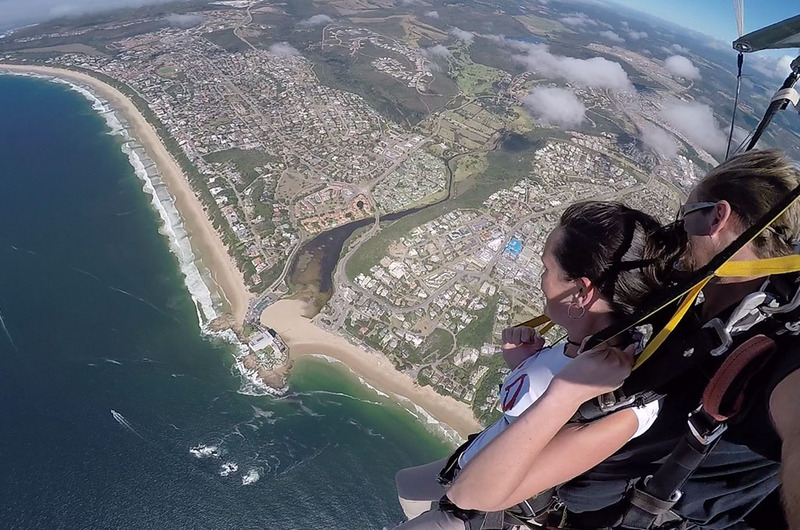 We jump from 3km up! 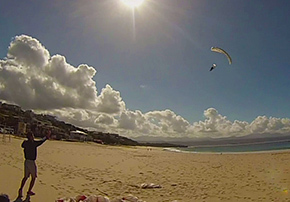 We are open all year round, 7 days a week, sunrise till sunset. 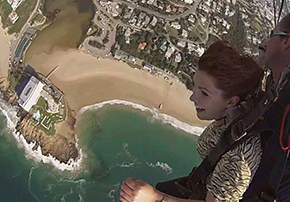 There is nothing quite like stepping out of an aircraft that is just over 3kms high over the sea and then freefalling into the bay of Plettenberg Bay. 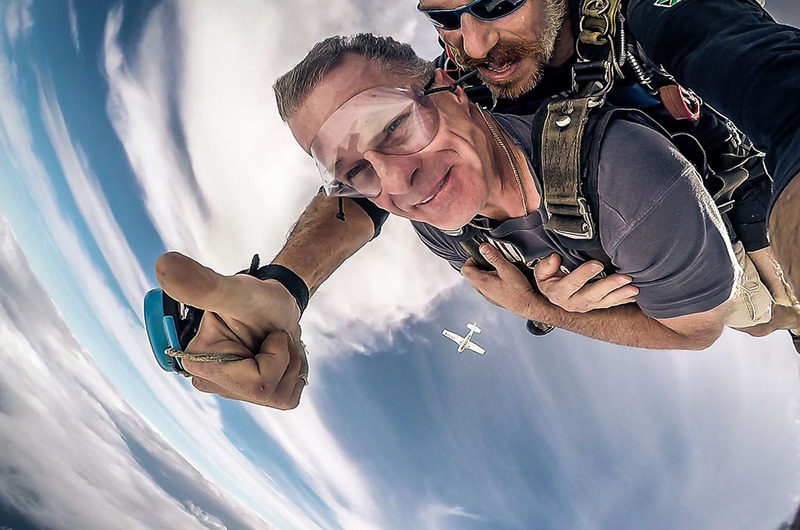 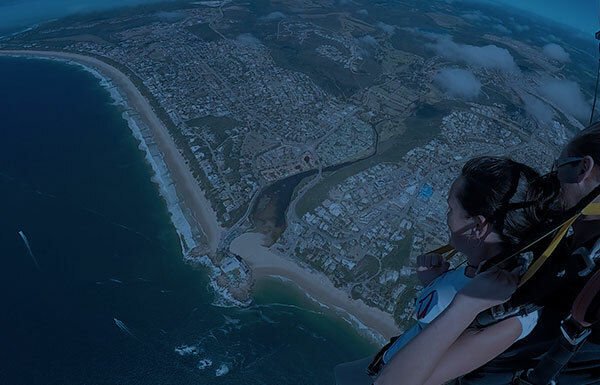 If you would like to experience an out-of-bounds skydive and if the weather permits, you have to do this skydive and then land at Central Beach. 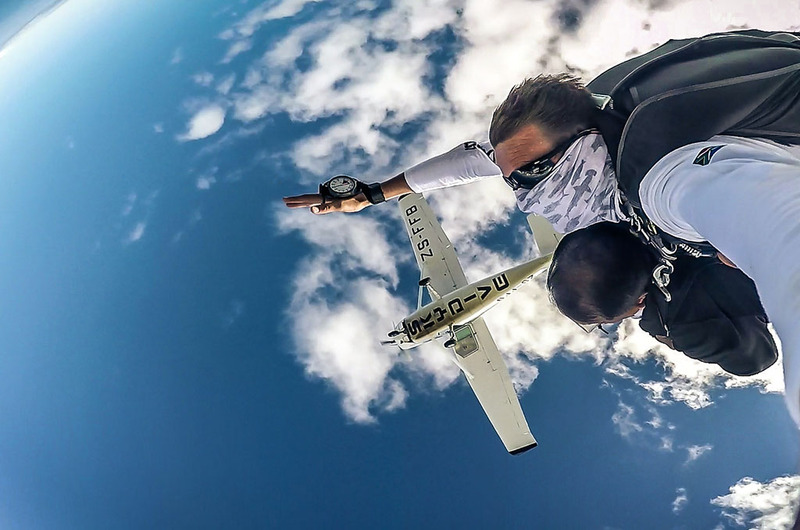 We will only jump in safe conditions. 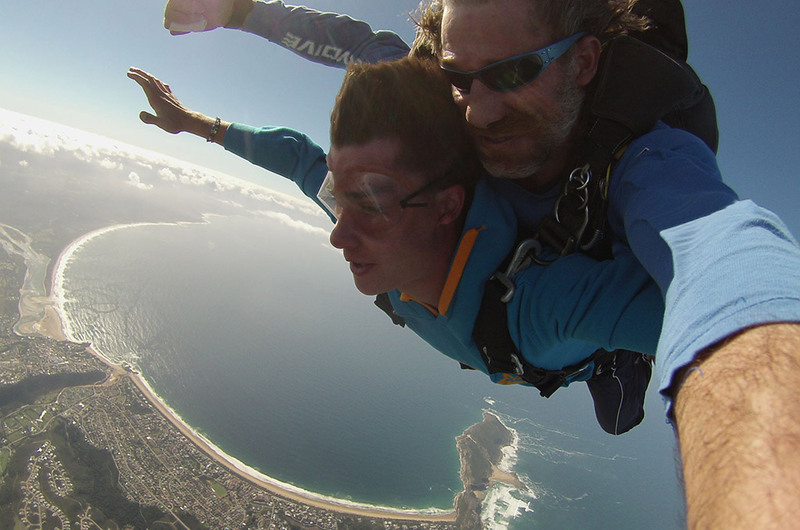 Unsafe conditions would include strong winds and low clouds, we want you to enjoy your skydive!! 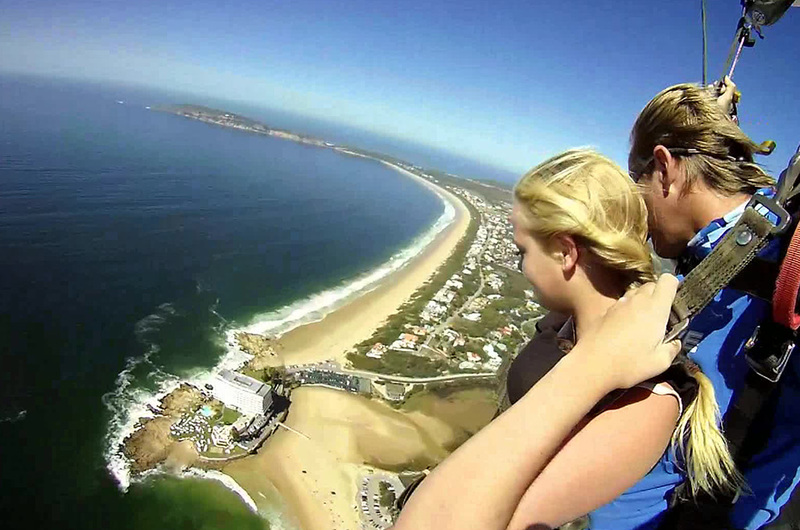 From what height do we jump? 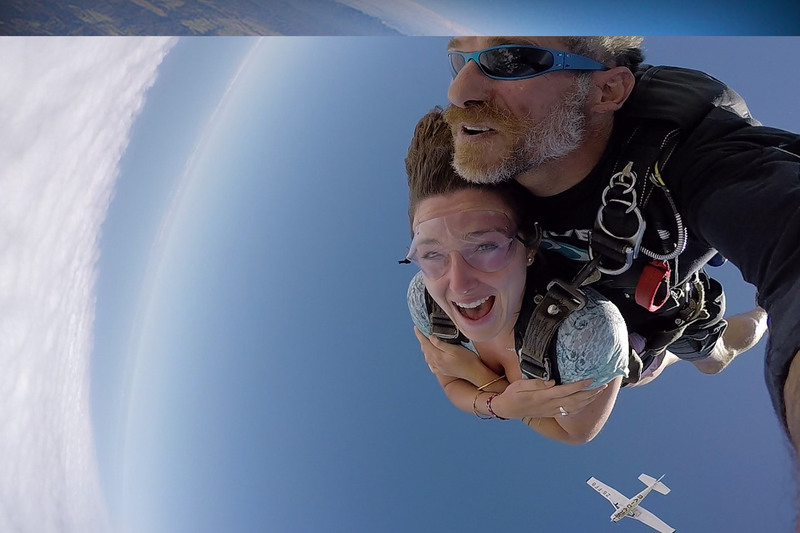 We jump from 10,000 feet which is a little over 3km! 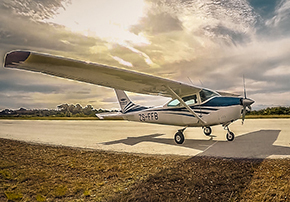 We land at the Airstrip, just outside the Dropzone buildings, so your family can watch you land.